Posted June 7th, 2018 by HJC Design & filed under Uncategorized. 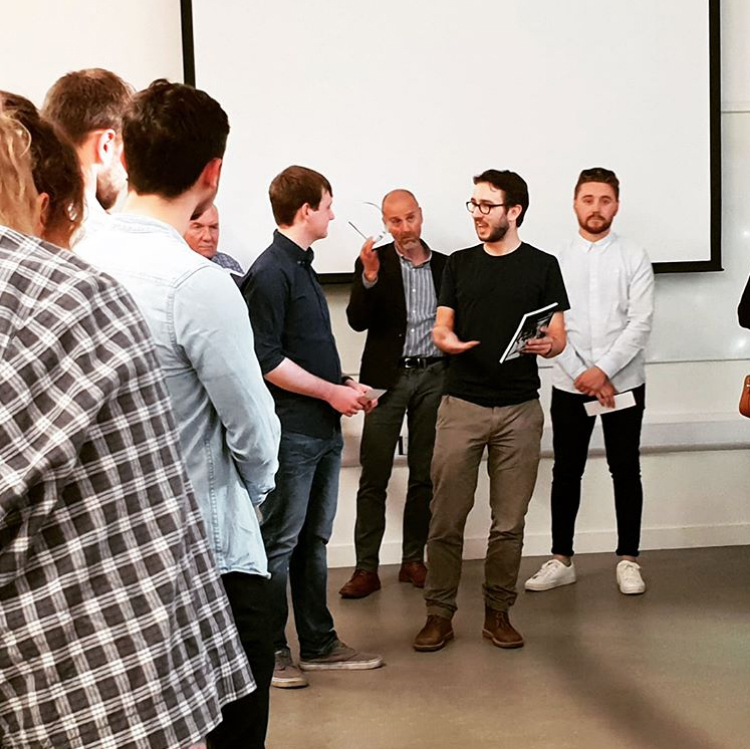 Sheffield’s Institute of Arts hosts a yearly exhibition to promote and showcase the final year Major projects of Sheffield Hallam University’s Arts students. Students from graphic design, through to Product, Interior and Fashion, the SIA brings them all together at the end of their academic pilgrimage to garner the attention of the broader art and design community. 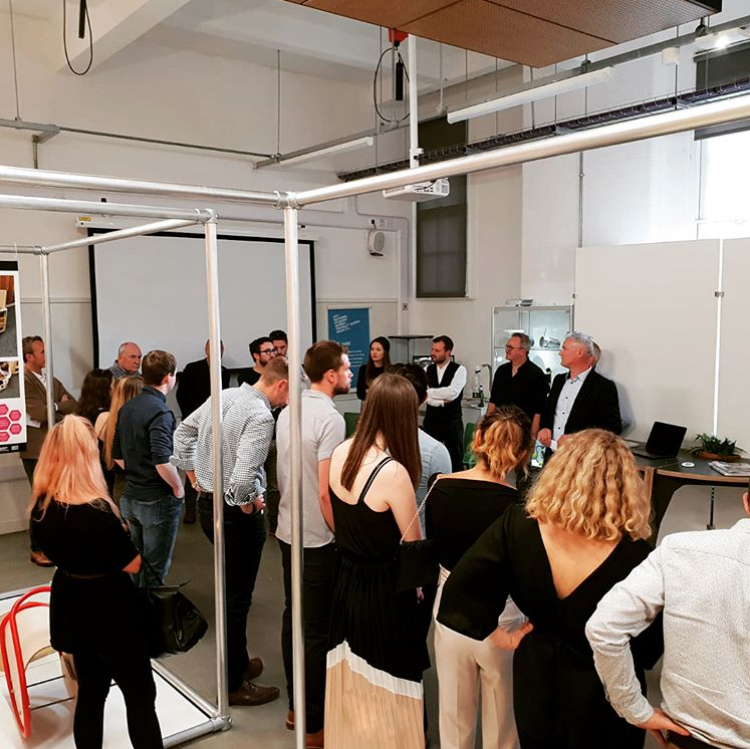 Enthusiasts, Industry partners, local businesses, potential employers and their piers all attend to celebrate the completion of their degree, embodied in the form of the exhibition and their final project work. Two awards were to be handed out within the Product Design sector, the ‘Design for Production’ was to be handed out by ourselves at HJC Design and the ‘User Interaction’ award to be presented buy Lucid Innovation. Having the privilege of being invited to present the ‘Design for Production’ award gave us the opportunity to peak behind the curtain, push aside the stunning visuals and flashy models and dive deep into the heart of the projects, focussing on the nitty gritty technical aspects of the designs on display. We always see a very high standard of work from Sheffield Hallam’s Product Design students, and this year was no exception. Various skills were on show, everything ranging from research analysis, sketch work, concept generation, 3D CAD, manufacturing knowledge and of course, brilliantly crafted presentation models all tastefully presented, ready for us to go over with a fine toothed comb and select a winner. Chatting with the undergrads face to face helps bring out all the thoughts and considerations buried in the countless pages of their process log books, research analysis papers and technical reports. Many students shine in these interactions and helps us gain a much more complete picture of their vision. 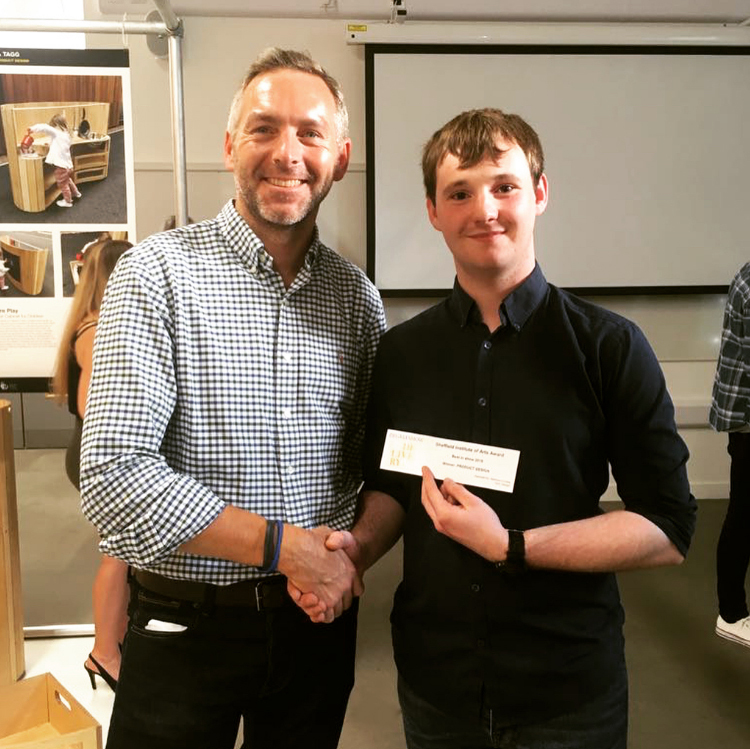 After splitting up and quizzing the students we regrouped to talk through our final decision, and had the pleasure of awarding Thomas Colbenson on taking home the ‘Design for Production’ award. Thomas’s domestic food smoker project was well thought out from many angles, but particularly from a production and manufacturing perspective. Adequately taking measures to safe guard key components, such as the motor, from excess dirt all in the sake of increasing the performance and longevity of the product. He showed a clear understanding of the why’s and how’s in his methodology and design approach. Lucid Innovation awarded Ashley Granter the ‘User Interaction’ award. A project promoting a circular economy by the repurposing the vast quantity of plastic fishing nets that litter the oceans to develop his Marine Net Knife. We at HJC would like to say a big congratulations to the two award winners, and would like to wish and then rest of the students all the best as they enter the professional realm.